How can so many features come from one incredible hovercraft? It can with the Coastal Pro II! The Snapper II single seat hovercraft was designed with three goals in mind. It had to be fun, economical and reliable. The Marlin III hovercraft line is the most popular recreational hovercraft in the world, and for good reason! 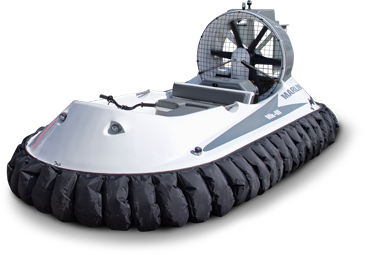 We provide well-designed, custom-built hovercraft machines of superior quality. Always built with safety first in mind, they are fuel efficient and reliable. 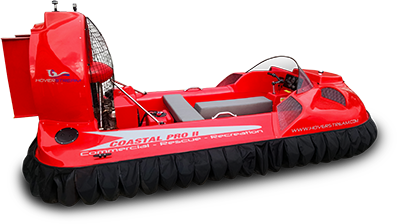 Designed with breakthrough technology to be used year-round, our hovercraft are environmentally friendly and can withstand any type of conditions, such as fog, ice, snow, wind and raging rapids. We admit it. We're passionate about what we do. So are our customers, beginners and experts alike; which is why they expect expert advice, extensive experience, reliable support and seamless service that exceeds their expectations. We make sure their customer experience and long-term relationship with us is the best that it can be! We work hard to earn the trust of our customers. 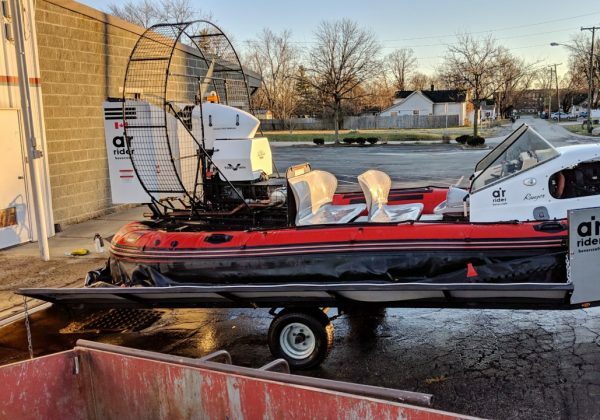 We understand our customers' unique needs and provide innovative solutions to deliver high quality, hand-built hovercraft in a timely manner. Whether it's for commercial, recreational or rescue purposes, we strive every day to deepen our relationship with our long-standing customers and inspire new clients. 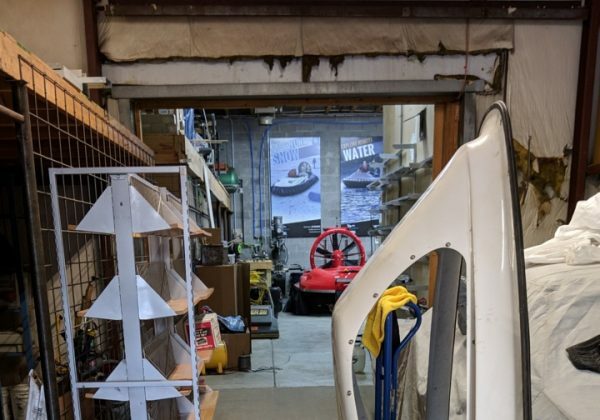 At Hoverstream, we're driven by our desire to provide each and every customer with the outcome they need and want in their hovercraft. Enjoy fast flying over ground or water. Use your hovercraft for commercial use, like water treatment or passenger operations. Perform fast, safe rescue operations in areas that are inaccessible to boats or helicopters. 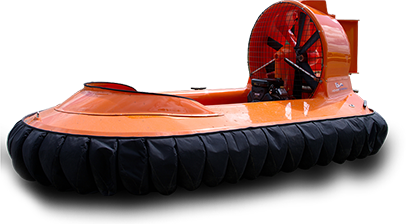 Our hovercraft are all about great experience, reliability, quality, and performance, year-round. If you would like to talk with one of our Hoverstream representatives today, contact us here. 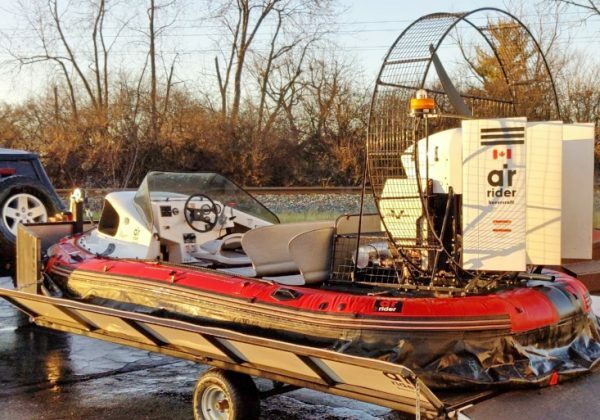 We'll do what it takes to provide the support and service you deserve in order to deliver your hovercraft built JUST FOR YOU! 2013 Air Rider 45 with THREE cab options. This can be used fully open (as shown in photos), partly enclosed, or FULLY ENCLOSED! It has a built in cabin heater for those frigid days on the ice. Four person 882lb capacity. Inflatable hull, 34mph cruise speed at 70% power. Adjustable and reversible prop. Includes many accessories including lift jacks for skirt service. Low hours. Call for details. Custom trailer included. Over $62,000 new, one owner.